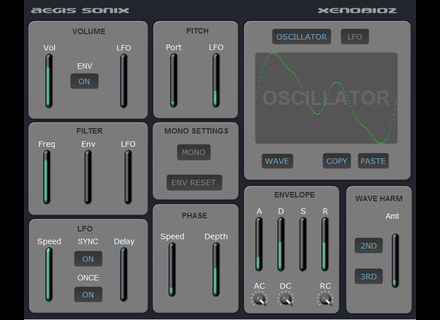 Aegis, Virtual subtractive synth from Xenobioz. 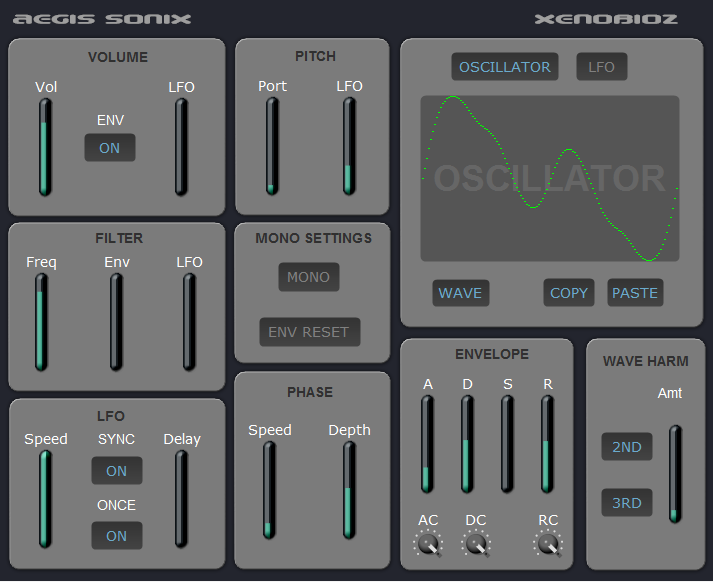 Xenobioz took an old Amiga synth, the Sonix, to create Aegis, a virtual instrument in VST format for Windows. Aegis is available for free download from www.xenobioz.com. The SonicProjects plug-ins on sale SonicProjects may seem to have stopped its activities, yet they are running a special offer on all its plug-ins until for a few days. MIDI Boogie and a bundle for EZkeys Toontrack introduces a new MIDI file pack dedicated to Boogie for its EZkeys virtual piano as well as a 6-pack bundle for the same instrument. Drumdrops tomorrow on BFD 3 After Kontakt, users of the FXpansion BFD 3 will have the opportunity to use the first Drumdrops kit on their virtual drums tomorrow.